New York is famous for many things. One of them is Steakhouses! The New York City Steak House is legendary in many ways and often imitated unsuccessfully in other parts of the world. The grand daddy of all Manhattan Steakhouses, however, is Sparks Steak House, located on E. 46th St. between 2nd and 3rd Avenues. CLICK TO VIEW OUR YouTube VIDEO OF SPARKS STEAK HOUSE! 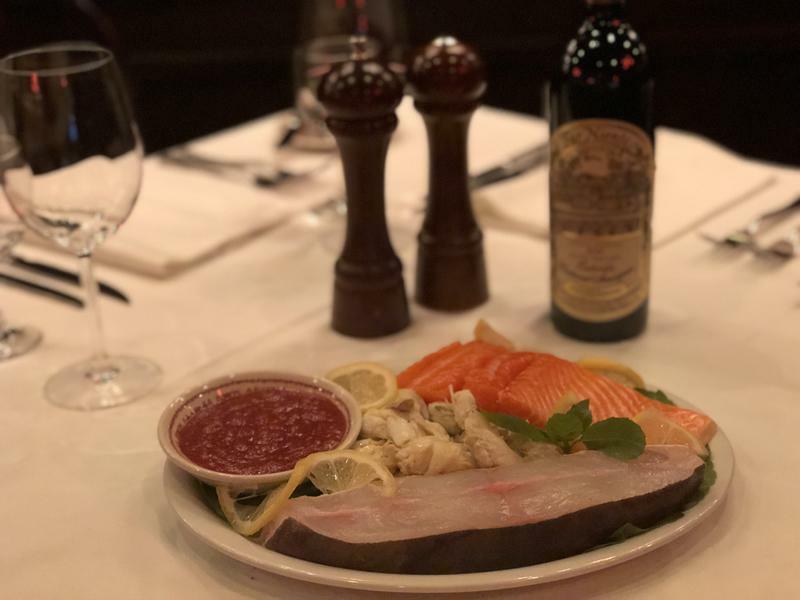 SInce 1966, Sparks has been consistently recognized and awarded by world renowned publications and distinguished dining organizations with the finest taste in both food and wine. 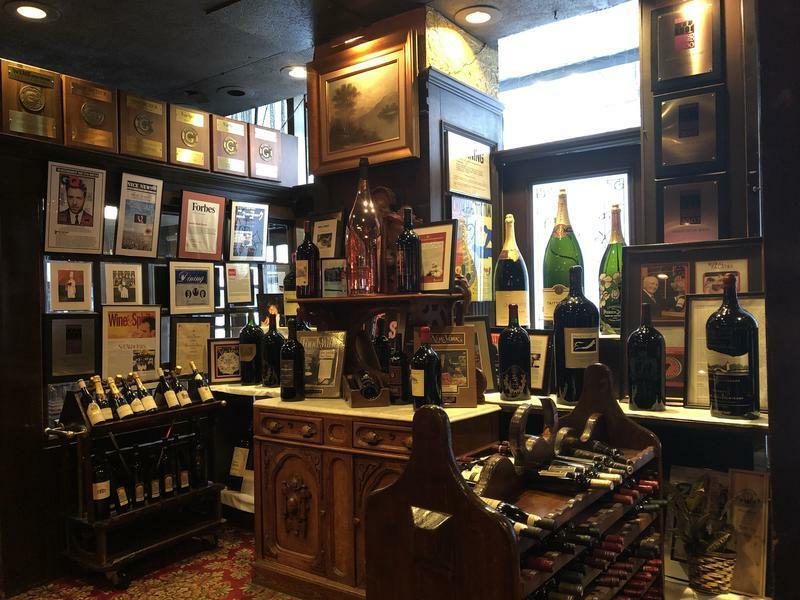 They've been recognized by consistently by the world's leading wine aficionados and have received the DiRONA award multiple times. On any given afternoon or evening, you'll find the dining room full of diplomats and celebrities. Sparks is also a popular spot for movie shoots and was recently used for Robert DeNiro's The Comedian and the new John Gotti biopic Gotti, featuring John Travolta. For those inclined, Sparks still has one of the city's most extensive humidors, filled with the finest cigars from the Dominican Republic, Costa Rica and other exotic origins. Dining at Sparks is always a very special and highly memorable experience! Experienced Manhattan diners are used to eating in crowded quarters with minimum privacy and maximum noise. Even the city's most expensive and exclusive dining rooms don't necessarily offer abundant space or quiet. 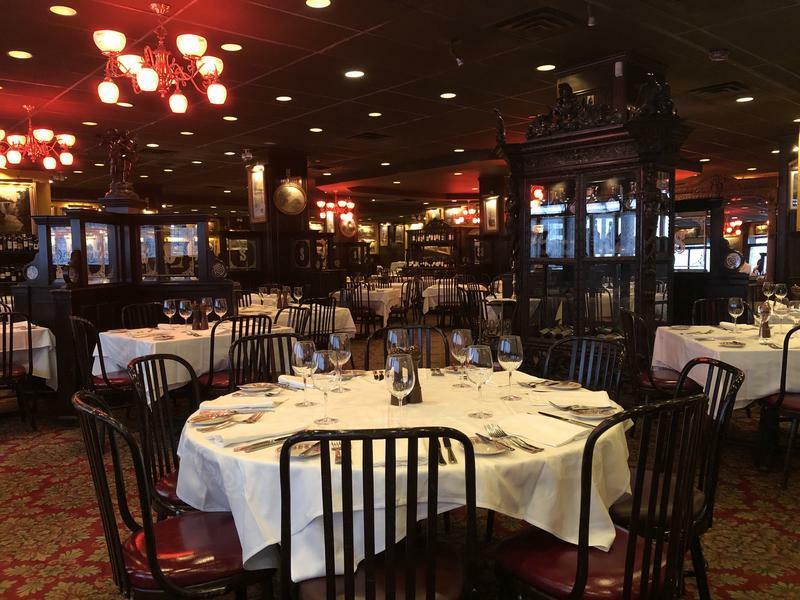 However, Sparks Steak House features one of the largest dining rooms in all of New York City. Here you can stretch out a bit, enjoy your company, take your time and thoroughly enjoy your meal. The tables are spaced apart generously for maximum comfort and privacy. Sparks' full table settings and double layered white-cloth tables are a welcome nod to traditional fine dining and add an additional layer of elegance to an already exquisite setting. The Mahogany paneling and design elements allowing for more intimate dining enhance the look and feel of the space. 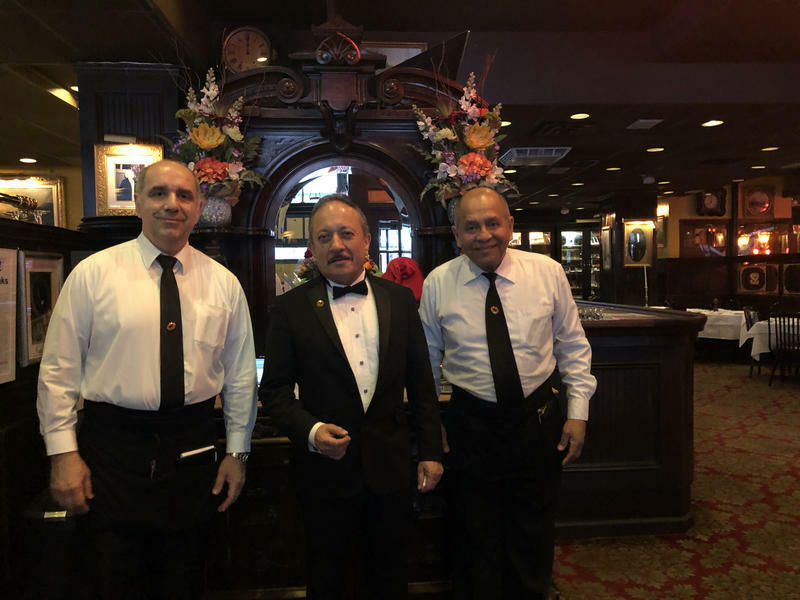 The servers at Sparks are well-trained and experienced professionals attending to your every need throughout the meal. From cocktails to dessert you're very well taken care of! You'll be watched over by an entire team of servers so nothing goes unnoticed or unattended. Condiments are fresh at every serving so there is no used ketchup, mayonnaise and mustard bottles anywhere in sight. Fresh ground pepper and salt are on every table. Sparks is also well known for their extensive wine list. They have won many awards for their wines as well as their food. The attentive staff is well versed and familiar with the deep wine list and can easily assist you in choosing the right wine that fits you meal, mood and budget. These types of things may sound trivial, but I'm telling you they make all the difference in the world. The crew at Sparks pays impeccable attention to every detail. A forgotten trade in these hurried times! The same attention to detail that is provided in their service carries over to the food. Only the finest cuts of beef, lamb and seafood are sourced by Sparks. The salmon is freshly caught Wild Atlantic Salmon. No farm raised fish here! Even the mozzarella used in their Bufala Mozzarella and tomato salad is flown in from Italy each day. The delivery service literally drives straight here from the airport every day! My partner and I settled in for a fabulous meal here recently and left thoroughly impressed. Their attention to detail and the delicious and generous portions left us refreshingly satisfied and I can assure you we won't wait long before returning. I started with the Fresh Bufala Mozzarella with sliced Tomato. It was truly remarkable. My partner had a Ceasar Salad that was out of this world. We've all had so many Caesar salads and their many variations that you just don't get that excited about ordering one. Sparks' Caesar Salad was over the top in every way. Can't say enough about it! 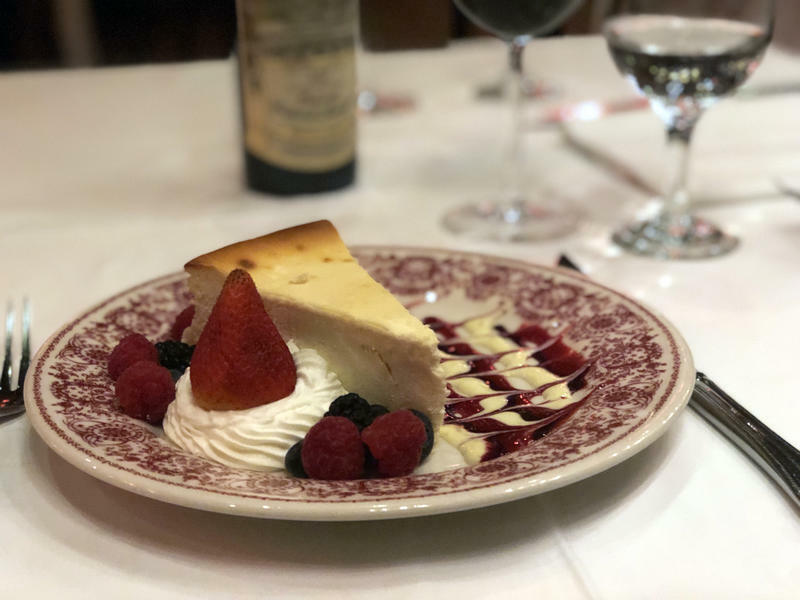 Click Here to View the Sparks Steak House Menu! For dinner, I chose Sparks' specialty, the Prime Sirloin Steak. Some of you may know this as a shell or NY Strip steak. The steak was cooked to perfection and good to the last bite! My partner had the Fresh Chilean Sea Bass and it was also cooked to perfection and was exceptional. Again, paying attention to every detail, our server removed the top table cover after dinner and replaced it with a clean one for dessert! We shared a special dessert consisting of Chocolate Mousse cake and a bountiful assortment of blueberries, raspberries and strawberries. Every stage of the meal was exceptional. Just when we'd think it was as good as it was going to get they would top themselves again. That's why I say dining here is an experience. It's far more than just going out to dinner! New York, New York! It's a Steakhouse Kind of Town! Sparks Steak House features one of Manhattan's most extensive wine lists. 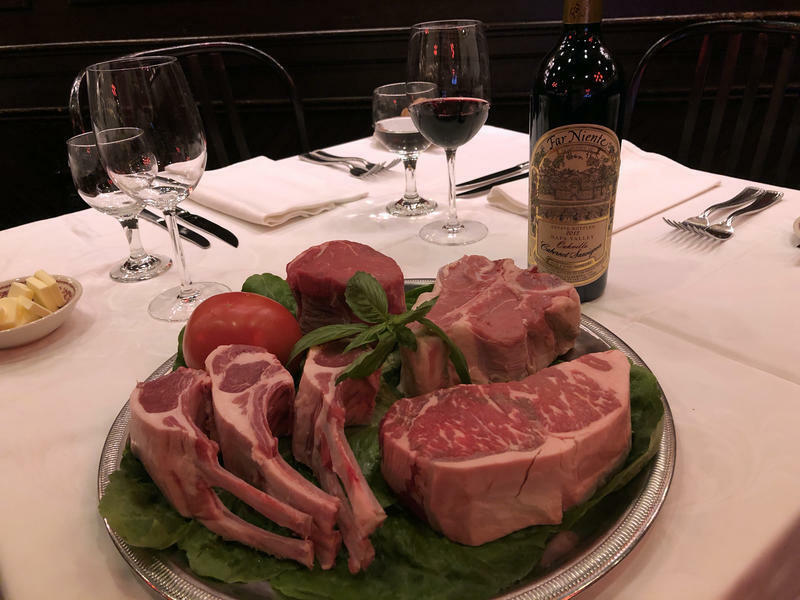 Prime Cuts of Meat at Sparks Steak House.